While I don’t like being a follower, I must admit that I’ve definitely jumped onto the Greek Yogurt bandwagon. 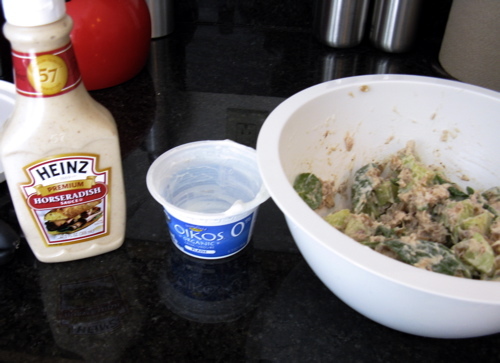 I’ve used it in place of sour cream, ranch dressing (with some added spices), and now in place of mayo. I never really liked mayo much to begin with. 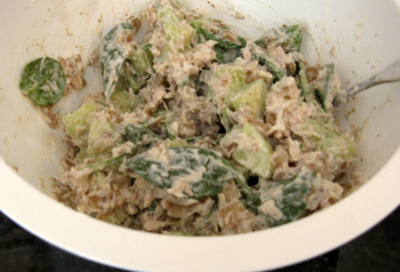 This is a very simple salad, but the addition of horseradish really made it excellent. This entry was posted in Main course, Salad.